BRING YOUR DOG TO DOGGIE DAYCARE & GO TO WORK GUILT-FREE! Because dogs are such social creatures, they can get into trouble when left alone for the day. That's why you should bring your dog for a fun day of dog daycare at Ankeny Bark Ave in Ankeny, IA or Bark Avenue West in West Des Moines, IA. Both facilities offer dogs an action-packed day filled with play, exercise and rest. 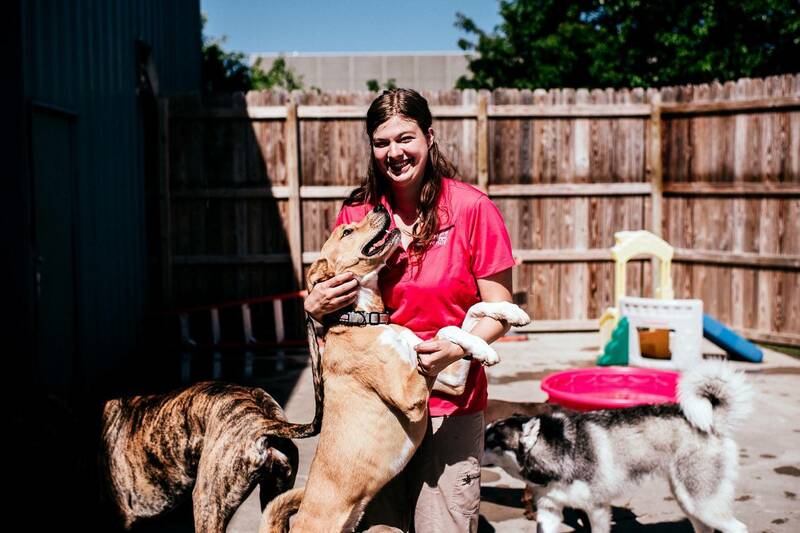 Bringing your dog to a quality daycare facility allows your furry best friend to have fun romping with friends or our staff in a safe, canine-friendly world. Then when you pick him up at the end of the day he’s ready to relax with you after a fun-filled day. FIrst Time Customers can try Doggie Daycare for FREE! We are so confident that your furry friend will enjoy spending the day with us that we are allowing our customers to try it free of charge their first day! Here at Ankeny Bark Avenue and Bark Avenue West we understand how dogs interact. 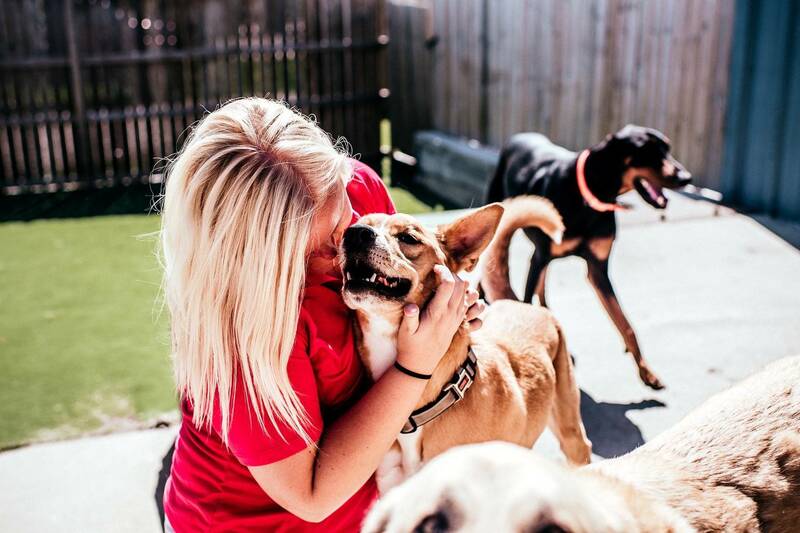 We structure our dog daycare groups by size and personality so that your dog will have the opportunity to spend the day playing and socializing with dogs similar in size and personality. These structured playgroups ensure that your dog will get the benefit of just the right amount of exercise and socialization. Our fun dog daycare program is where all waggin' tails want to be, but playing all day can be very tiring. We give each dog the opportunity to relax for a small portion of the day to get their own individual water dish and a blanket to snuggle down on. This scheduled nap time during their active day gives our dog daycare guests the opportunity to recharge for their next play session. 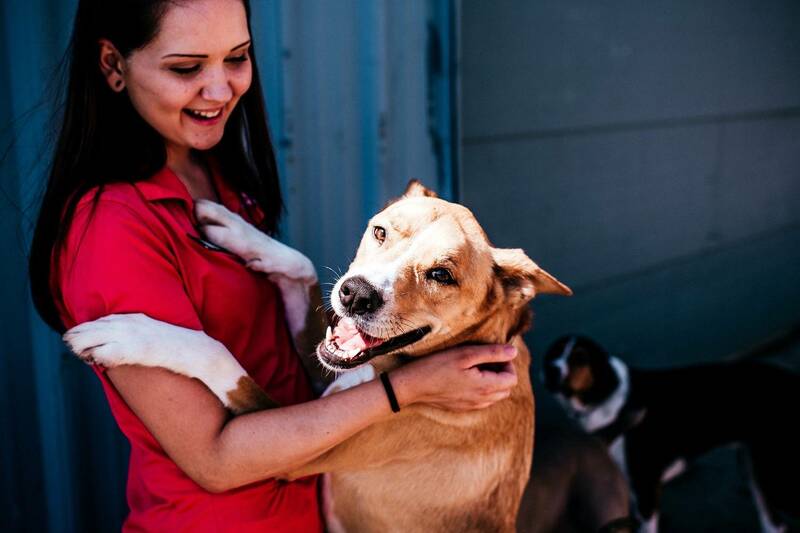 At Ankeny Bark Avenue and Bark Avenue West we know that dog owners are concerned about leaving their dogs at home during the day since they won’t get enough socialization, stimulation and exercise. While your dog attends dog daycare with us he/she will have the opportunity to get the right amount of activity and rest in a safe and controlled environment that is constantly monitored by our staff. You’ll notice that when you return for your dog at the end of the day he or she will be calm and content. We have been taking our pooch Pancake to Ankeny Bark Avenue for doggie day care and grooming for the past three years. We are so lucky to have the caring staff at Bark Avenue. Over the past three years they have been so accommodating when needed grooming, and eager to say hello to Pancake when she comes through the door! Pancake loves going to doggie day care so much so that when we take the Ankeny exit she starts jumping back and forth from the front seat to the back howling. I can't even get the car in park and she is trying to get to the front door. As we anticipated our newest addition to the family Ankeny Bark Avenue offered such great care for our dog as we transitioned out little family. They were always there to take Pancake and run her when she was stir crazy, and needing to get away from the little baby!